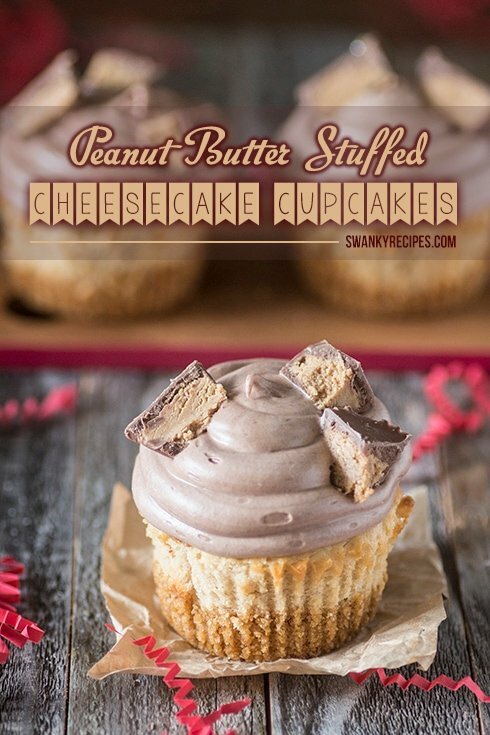 The ultimate Peanut Butter Cheesecake Cupcake recipe that is sinfully delicious, rich and packed with creamy peanut butter cheesecake and a surprise peanut butter cup stuffed in the center. 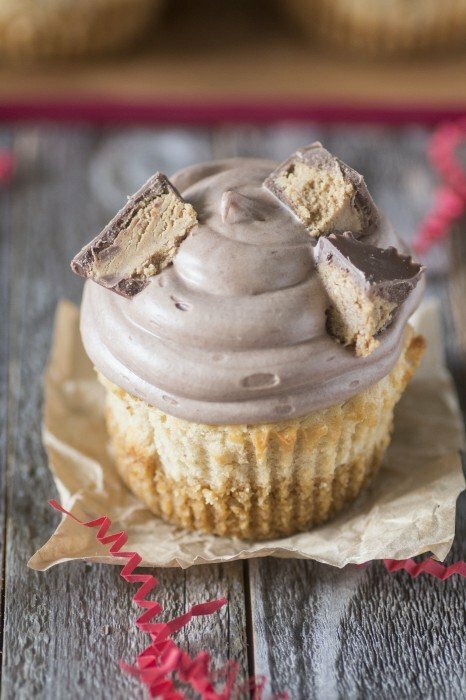 Chocolate and peanut butter are perfectly paired together in this cheesecake cupcake. 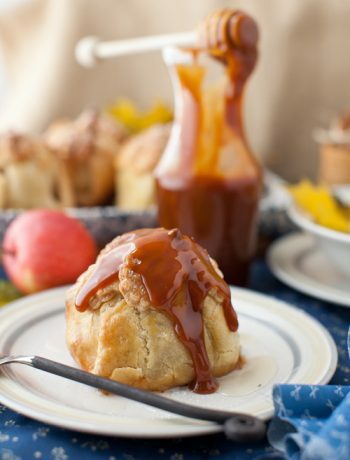 If you’re a peanut butter lover and love baking with peanut butter, you will love this recipe! The holidays are not far away and if you’re looking for some festive inspiration, look no further. Get the kids together and build a fun Gingerbread House this season. Gingerbread Houses are a great time to let the kid’s creative minds work on building the perfect holiday house. Family holiday ideas and crafts make great gifts to grandparents. 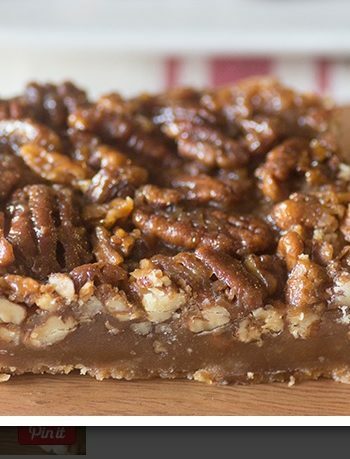 Nothing compares to holiday baking and the all creations that come out of family kitchens for generations. I know in our family, the holidays are a very special time for us. We spend a lot of time together in front of the fire, in the kitchen and playing in the snow. When it comes to this time of the year, we can’t seem to get enough of each other. I love every bit of it and will always cherish the holidays. In a bowl fit with a mixer, cream together the cream cheese and Skippy® Peanut Butter until fluffy. Next, cream in sugar, flour and vanilla extract and beat for a minute. Add one egg at a time and continue to beat on medium speed for 1 to 2 minutes. Scoop cheesecake batter into muffin pan. Fill batter to the top and place in the oven. Bake for 20 minutes until cupcakes are set and are no longer jiggly. 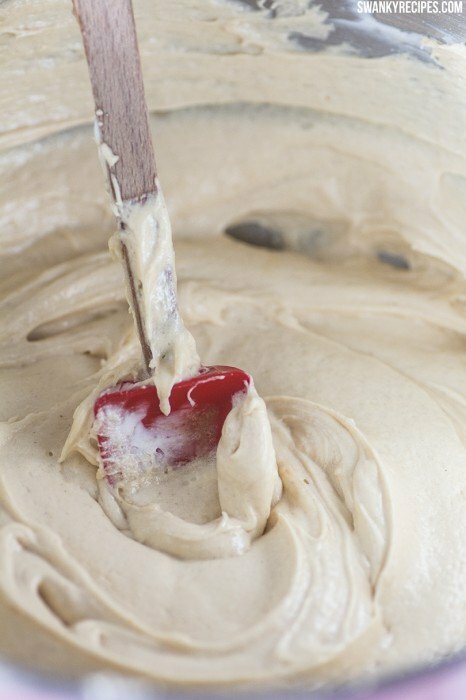 To make the frosting, whip butter and cocoa until smooth in a bowl fit with a mixer. On low speed, add in the vanilla extract and powdered sugar. Slowly, pour milk into bowl and continue to mix until frosting reaches a desired consistency. Whip frosting until light and fluffy. Using a pastry bag or spatula, pipe/spread frosting on to baked cupcakes. 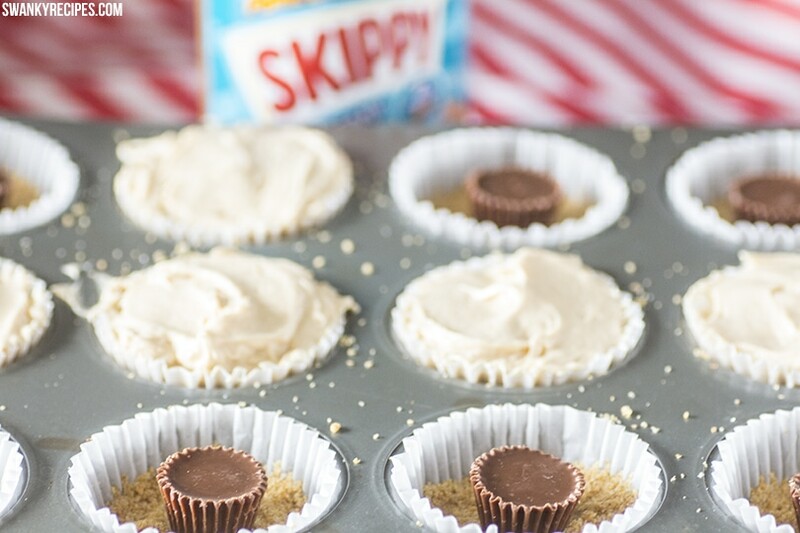 Chop up peanut butter cups and place on the top of the frosting. I chopped 1 cup per cupcake. Each cupcake has 2 peanut butter cups total. One cup stuffed inside the cupcake and one chopped up and placed on the frosted cupcake or about 36 peanut butter cups total. 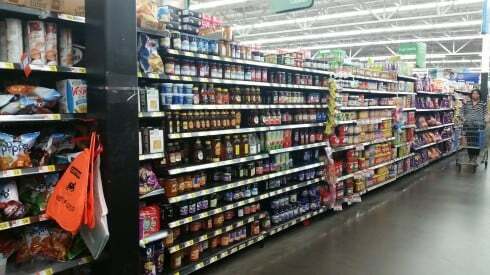 If your looking for a great deal with low prices this holiday season, head to Walmart® and pick up Skippy® Peanut Butter in the bread/jam aisle. 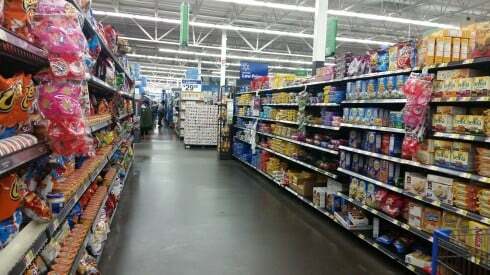 Find Honey Maid ® Graham Crackers in the cracker/cookie aisle. Save $0.50 when you buy one (1) Honey Maid® Grahams (12.2 oz. 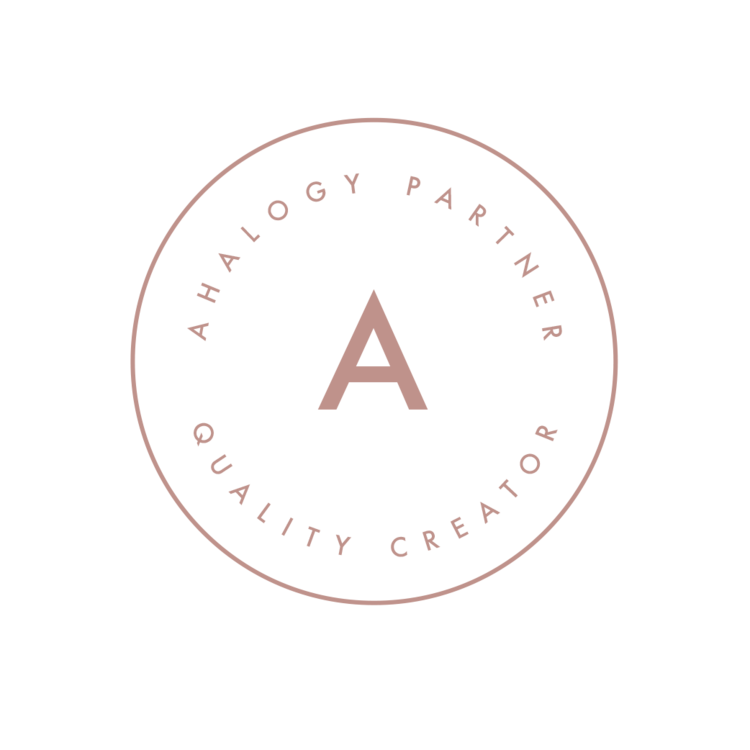 or larger). To get the coupon, click here. For more inspiration, check out the Honey Maid® Instagram page here. This time of year inspires me to do a lot of holiday themed baking and activities with my family. The weekends are a great time to get together with the kids, friends and family. Spend the day inside wearing a cozy sweater next to a roasting fire while the kids build holiday Gingerbread Houses and sip on hot chocolate. 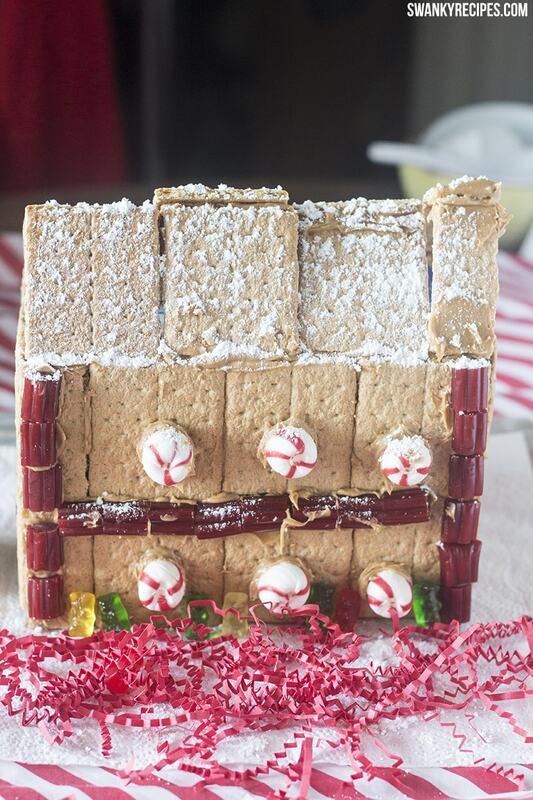 Gingerbread houses are a Holiday tradition the whole family can make together. Head to Walmart where they have a large variety of candy that can be used for Gingerbread Houses. 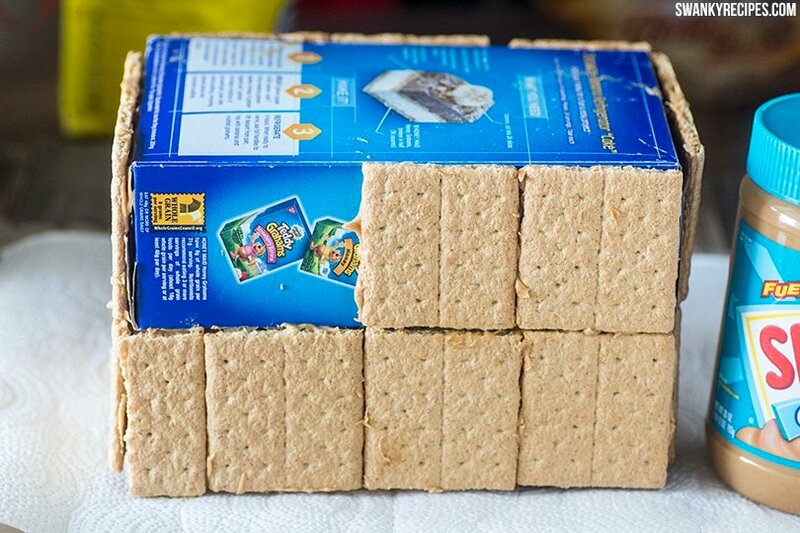 For the base of the house, I used two (2) Honey Maid® Graham Cracker boxes. Simply remove all the contents inside and generously spread peanut butter between the two boxes, then stick them together on top of each other. The boxes will hold together without any problems. Next, spread peanut butter on the underside of the crackers and press the peanut butter cracker on to the box. Fill the entire box with crackers before doing the roof. For the top of the house, I found it easier to use half of a graham cracker sheet and full one. Start by spreading peanut butter along both ridges of the top of the box. Next, spread peanut butter on the top of each cracker where they will come together. Lean the full graham cracker on top of the half sheet. It should rest on the half sheet and stick with the peanut butter. Repeat until the roof is complete. See below picture. Now is the fun part! Spread peanut butter on each piece of candy and make fun, creative house details with them. 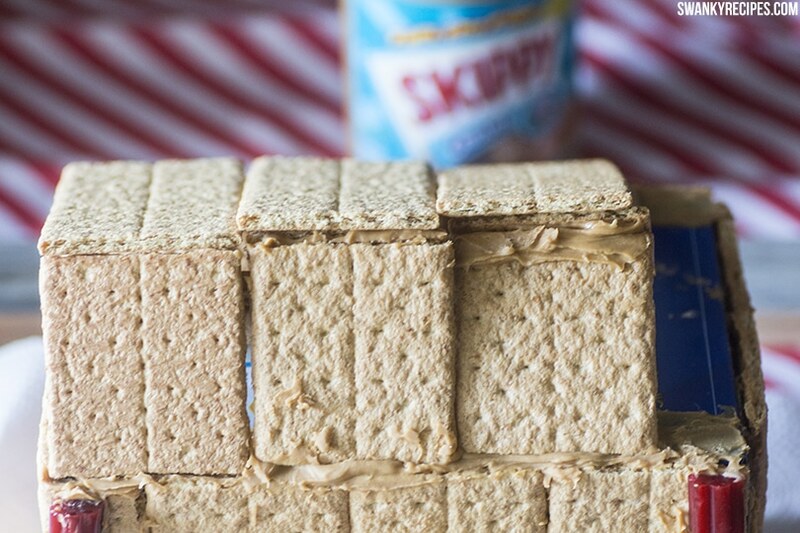 The weather here was in the high 80’s and humid when my family was making this and the graham cracker was too moist to work with on the top of the roof. Instead of using gummy drops, I dusted powdered sugar on top and along the ridges to give it that fresh snow look. We also used liquorice for the “siding” of the house and topped it off with peppermint candies and gummy bears. Many of our fondest childhood memories consist of spending time with family and friends baking delicious holiday food, spending time outside in the snow and celebrating the holidays together as a family. Gingerbread houses are such a fun activity to do with the family. If the kids are old enough or a group of adults get together, challenge each other in a gingerbread house competition. 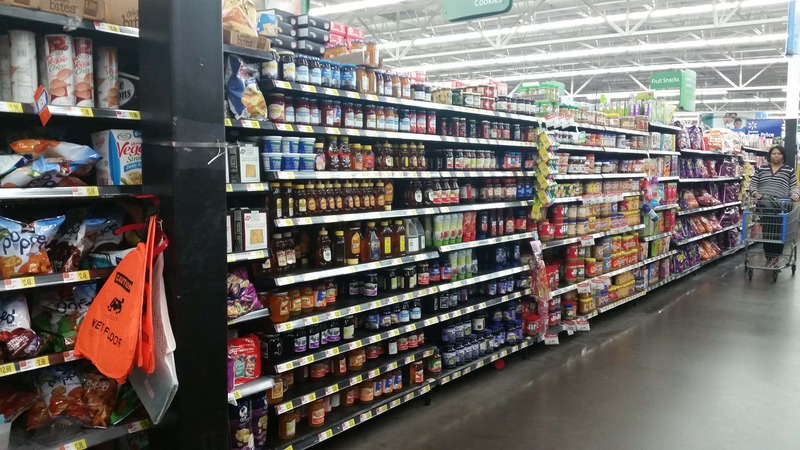 Stock up on plenty of supplies. Activities like this allow everyone’s imagination to run wild. Preheat oven to 350 degrees F. Line two muffin pans with cupcake liners. To make the crust, melt butter in microwave in a medium bowl. Crush 1 and 1/2 cups graham cracker crumbs in a blender or use a cup to crush. Add sugar and graham cracker crumbs to butter. Mix together well, making sure crumbs are moist. Press crumb mixture into cupcake liners. I used a about 2 spoonfuls to each cupcake. Press mixture into liners using a glass or fingertips. Place 1 peanut butter cup into the center of each cupcake liner. In a large bowl fit with a mixer, beat cream cheese and peanut butter until fluffy. Add sugar, flour and vanilla extract and continue to beat on medium. Add eggs, 1 at a time and continue to beat for 1-2 minutes. 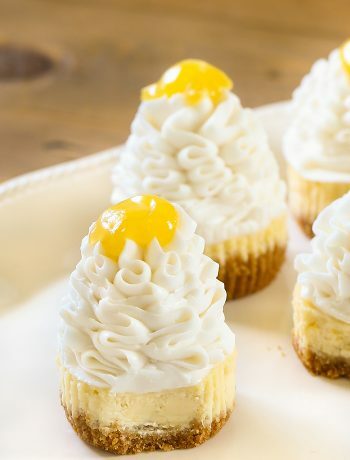 Using a spatula, carefully fill each cupcake liner with cheesecake batter. Bake for 20-22 minutes until the center is no longer jiggly. Open the oven and allow to cool for about 15 minutes. Chill in refrigerator 45 minutes to 1 hour. Meanwhile, prepare frosting. Whip butter and cocoa together until smooth in large bowl. Stir in vanilla and powdered sugar. Slowly pour in milk until frosting reaches desired consistency. Scrape sides and whip again until light, fluffy and smooth, 1-2 minutes. Frost cupcakes using a spatula or piping bag. Slice peanut butter cups and place on top. 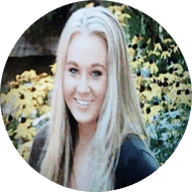 Hey Jessica, I saw this recipe at the link party and had to come check it out. I love peanut butter and am obsessed with mini cheesecakes. These look Ahhhmazing! Pinning to make ASAP! Perfect combo! Need to try these. I made these for my husband’s birthday. His friends have been raving about them all week, and I’ve been forced to promise to make them again next week. They are absolutely to die for, and I received several comments that these were the best cupcakes they had ever had! Yay, cupcakes for the win! Glad everyone enjoyed them, thank you!